Every now and then, I get promotional e-mails from various websites or services. They are looking for–wisely–promotion for their product. I have been receiving a steady stream of e-mails from a company that is attempting to fund its services via a Kickstarter campaign (looking to raise $20,000, I believe), called MyMuCo. The idea behind MyMuCo is to be a socially-based (interaction between student, parents, and teachers) learning management system for music. You can watch the introduction video and get the jist of the product. I do not support or endorse this product, nor do I have anything against it. I leave the resources provided by the company for you to make your own mind as to whether you would like to support their Kickstarter campaign or not. Some time ago (November of 2010), Dan Swirsky, creator of Choir Pro Software, contacted me about his software project, Choir Master. Choir Master was a Windows PC-based product that was intended to help choral singers (really, any vocalist) to learn their music, through an interaction of MIDI, recorded audio tracks, and even a video of the conductor conducting. As a Mac user, the program wasn't something that I would consider, and truthfully, I make my own resources for my students with music notation software. That software project has been discontinued and its resources invested in his next project. Since that time, Mr. Swirsky has been in touch with me, discussing his dream of creating an iPad app. He was able to find a developer, and invested his own funds into the project. I was a bit skeptical of the app's purpose, as the goal of the app was to make a way for vocalists to enter music for rehearsal purposes without a lot of music knowledge. Well, the app is out, and my skepticism has been proven wrong. Samuel Wright (an Australian music education technology leader) tweeted about a YouTube video. The video features a music technology instructor demonstrating how to notate a vocal part in a MIDI app without any “traditional” classical music concepts. In watching this video, I realized something: most people don't have a background in music education, and most are musicially illterate (not an insult, just a fact). How are they going to transcribe music? 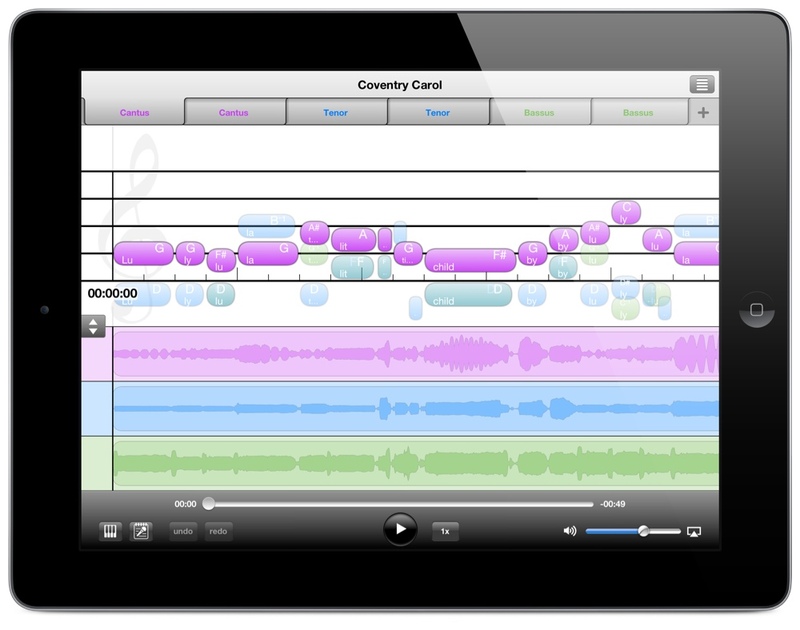 By using music technology as demonstrated in the video; likewise, by using apps like Sonja. 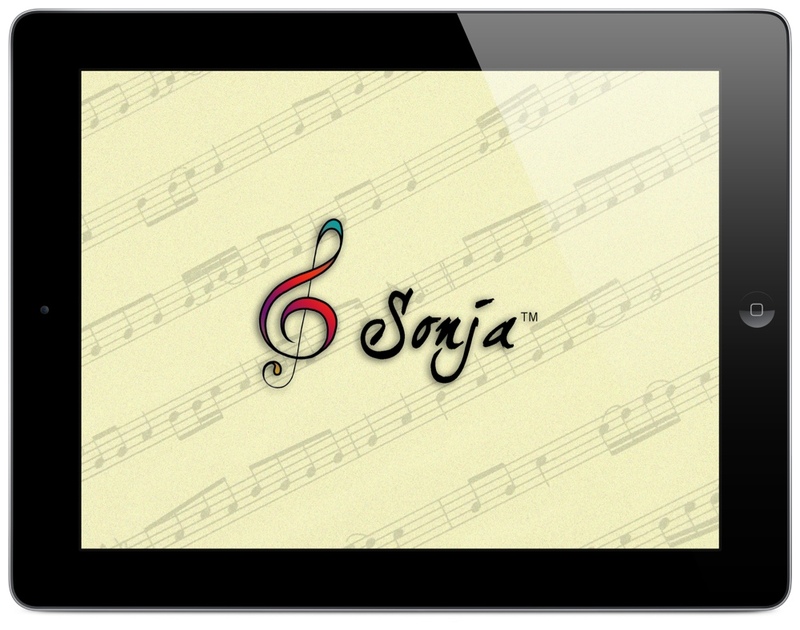 Sonja™ is designed to help singers and musicians of any music reading level learn and practice music. Simply import a Sonja™-format file or a MIDI file, and the notes of each part are displayed in a separate tab on a music staff in what is called a notation track, where each notation track may be assigned a different instrument. The user practices his/her part by selecting the desired tab, while the notes of the notation tracks in the other tabs may be viewed transparently in the background or hidden, and their volume lowered or muted. When the user has learned his/her part, the user can mute his/her part and perform along with the other parts. Sonja™ differs from other sheet-music or MIDI players in that it uses non-standard, visually-intuitive notation that is designed for singers and musicians who cannot read music well or at all, while acquainting users with the music staff, note timing and duration, and other basic music concepts. I have had a chance to use the app, and it works. You enter the notes, and then put the notes to rhythm. This differs from the Dubspot tutorial video, as that video determines the rhythm first, and then changes pitches of the rhythm on a piano roll. Sonja reverses that sequence, and instead of using a piano roll, asks the user to enter notes on a musical staff. So, really, Sonja does build some level of music literacy above and beyond the use of a digital audio workstation with a piano roll. You can create multiple parts, each on their own “tab,” but each part also remains visible. Sonja also can import MIDI and audio files, and the choralpro website offers a sequence of “how to videos” to help you learn how to use the program…which is easy to use. You can add text to your inputted notes (I'd more or less call this an “entered MIDI line”). 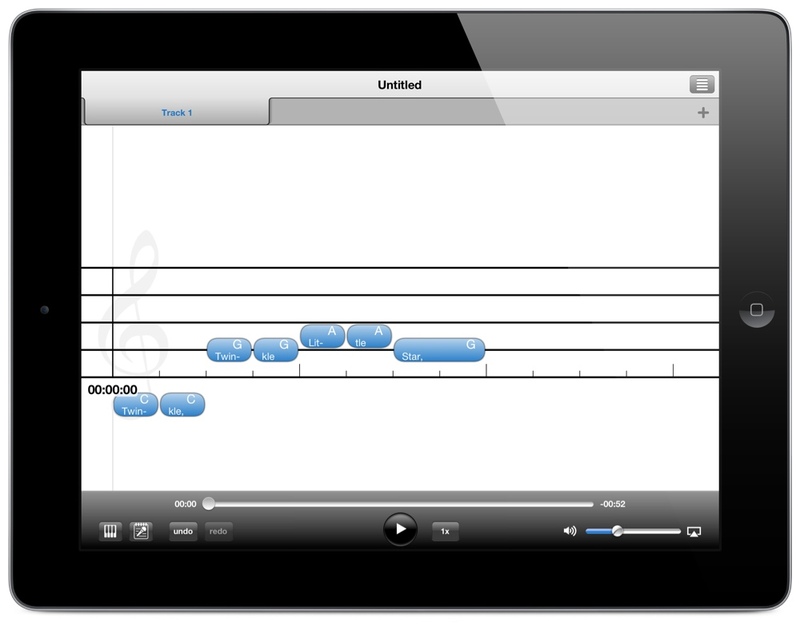 On a related note, I wish the iPad GarageBand app offered the ability to turn a piano roll into traditional music notation as the Mac version of GarageBand can do so; and if I had any wish for ChordPro, that would be my final wish…a line of “traditional music notation” on the bottom of the screen generated by your created MIDI notes…therefore building literacy. But that's the music teacher in me speaking, and there's a good chance that the average person wouldn't want that–or use that. Do look for future updates and additional in app purchases that add even more functionality. I think this app is a tremendous success for Mr. Swirsky…it is so much fun to witness this as an outsider: he had a goal to make an app, found a developer, and now has an app in the App Store. Unlike a few recent apps, this app works (I experienced one crash with Sonja, but I haven't been able to replicate it). And as I stated earlier, the Dubspot instructional video tells me that this app has the potential to help a lot of people. So..go download the app. It's free. Give it a try, and think outside of the box of the musically literate music educator. If you keep an open mind, you might find that your skepticism (if you had any) is also challenged. I want techinmusiced.com to be a resource for teachers of music, and that includes app reviews. But as the App Store grows, and as new apps enter the field each and every day, I cannot possibly review them all. Some apps fall outside my area of expertise, while others simply hold no appeal for me. That doesn't mean that they are bad apps. So I recently edited my review policy to state that I welcome developers to send me some copy about their apps, as well as some pictures, and I will be happy to post those apps here on the blog. This doesn't mean that I endorse the app–but for the sake of information, I want the information to be available to those that read this blog. Why is practicing with a metronome often difficult? As music teachers, we think traditional metronomes (and metronome apps) are missing an important feature: real-time feedback. A strong sense of rhythm is not just something you’re born with–it’s a skill that anyone can learn through practice! A good teacher can certainly help you improve, but how do you know if you’re practicing correctly when you're not at your lesson? BirdSound has provided the answer with tempoTeacher, a new universal app for iOS. TempoTeacher has all of the features you’d expect from a traditional metronome and adds the missing piece: clear, real-time feedback to help you improve. It’s simple to use: just turn it on and start playing. 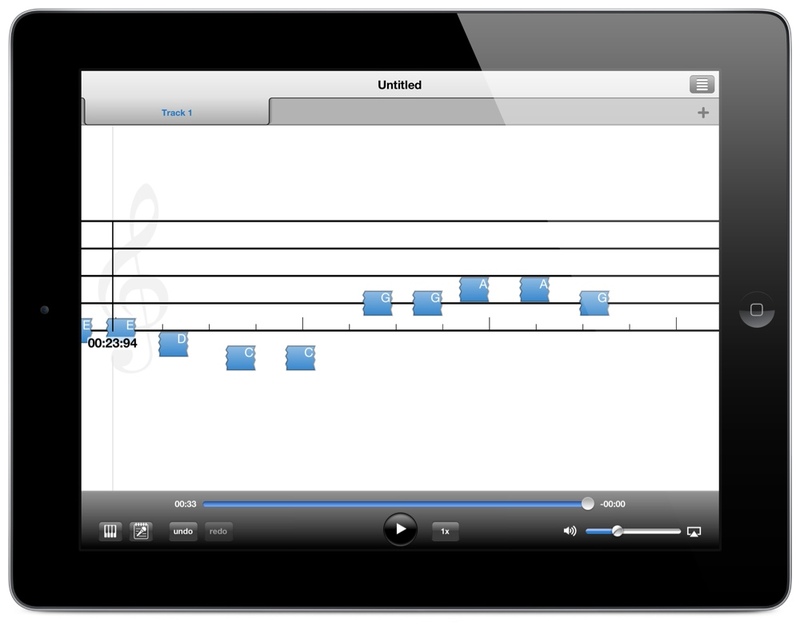 TempoTeacher displays, analyzes, and scores your playing for rhythmic accuracy in real time. All you need to do is try to make the score go up! TempoTeacher automatically remembers and displays your top 10 scores, so practicing with a metronome feels more like playing a game than you ever thought possible! Just started playing? Think you’re a virtuoso? TempoTeacher lets you adjust your skill level from beginner to expert, providing the optimum challenge for players of all abilities. In addition, Real-time feedback makes it easy for you and your music teacher to set practice goals and track your progress, giving you a greater return on your investment in music lessons. A familiar, attractive user interface makes tempoTeacher a snap to use, even if you’ve never used a music app before. Loads of additional features and a nice price make tempoTeacher a great value–and the only metronome app you’ll ever need. 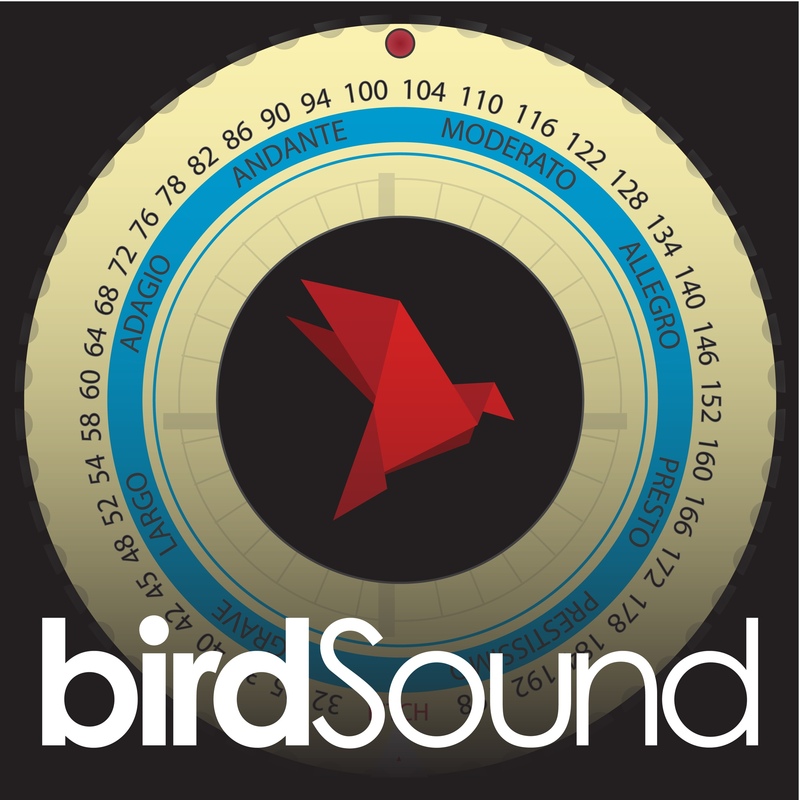 Welcome to the future of music education–let birdSound be your guide! Ultra-accurate metronome with loud, pleasant “click” sound. Quickly and easily adjust tempo and beat division to fit your practice goals. Teacher Mode: Accurate, adjustable real-time audio analysis with no additional accessories needed (works great with apple earpods, though)! Built-in low-latency headphone/practice amp with Tone, Gain, and Reverb controls. Built-in tone generator (E-A-D-G-B-E) with simple transposition for alternate tunings. Familiar, intuitive layout and navigation with attractive, retina-optimized graphics. Built-in help mode for quick explanations of all tempoTeacher’s controls. Compatible with most iOS audio adapters/microphones.